Posted October 8, 2013 by finnfemme & filed under Daily Life. All of a sudden it’s October and we’re well past the autumnal equinox. Even though it’s one of my favorite times of year, autumn always carries with it a certain poignancy. The active hustle-bustle of summertime with its parties, BBQs, and reunions has slowed to a standstill. 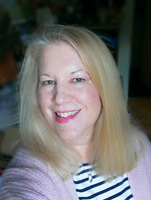 My son is back at college, and I am once again dealing with a quiet empty nest. It’s a transition that is always, well, a transition for me. The leaves are turning, the rains have set in (at least in the Seattle area), and the days are much shorter. I no longer use my outdoor clothesline, because it’s essentially useless to hang laundry outside in damp weather. My indoor drying racks are put to good use and fill a lot of space; I like to think of it as a a form of installation art. I cook a lot of roasted vegetables and healthy comfort food. I wear layers of vintage cashmere because my house always is on the cold side. I get back to a more regular walking schedule in autumn. I am not really fond of walking in the summertime heat, but the crisp fall days are perfect for it. I have a 1.5 mile loop that I walk around my neighborhood, and one of my favorite things is to see the fall decorations that my neighbors have done. 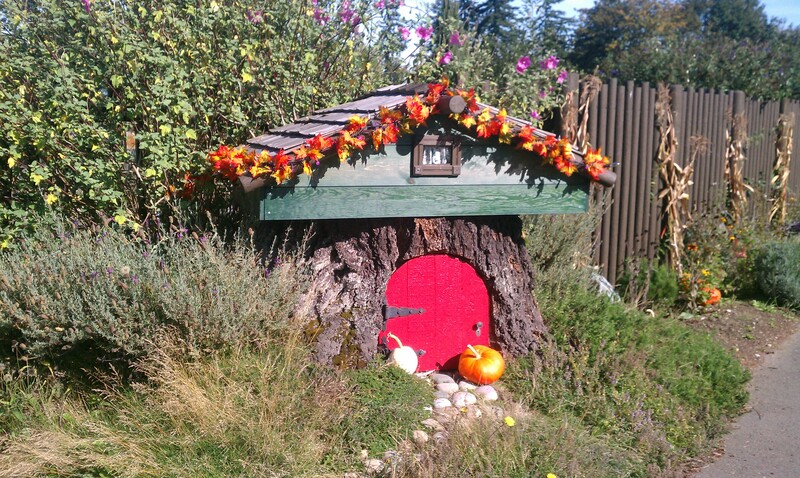 This photo is of a neighbor’s clever little gnome house that was made out of a tree stump. Even though I was sad when the big old-growth tree was cut down, I love how they decorate it for every season. The pumpkins at the door and the garland of leaves around the roof is adorable. It just makes things a bit more cheerful. Dear Marilyn, Autumn is also a time of beautiful sunsets. I hope you get to see a few in spite of all the rain:-( .